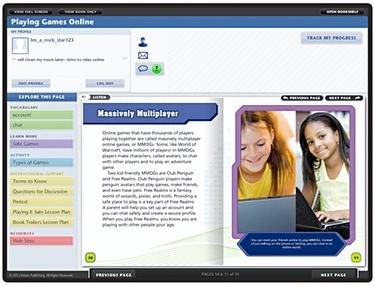 Online games have exploded as a popular medium for kids and adults alike. From simple single-player "casual games" to massive multiplayer online games (or mmogs), there are a lot of ways to have fun online, but there are also risks. This book teaches readers how to participate safely in the online gaming community, from keeping personal information safe while gaming on social networks to avoiding bullies and "griefers" online. The text provides resources for kids to play games online as well as sidebars that dive deeper into this high-interest topic.